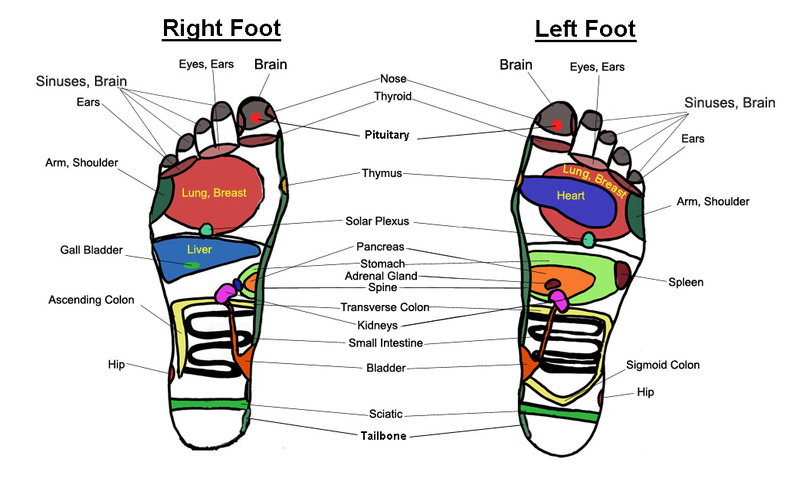 Reflexology can effect the internal organs and systems of the body. This is achieved when the reflexologist applies pressure to certain areas of the foot. It differs from an ordinary foot massage in that rather than just working on the muscles, tendons, facia and circulation, it actually addresses other areas of the body. There are a lot of detaild reflexology foot charts available and there is an official one on the wall of my reflexology room. These reflexology charts allow you to understand how areas of the feet and hands are approximate to the body’s anatomy with our interactive reflexology foot maps and hand maps.